LAS CRUCES, N.M. — The UTRGV women’s basketball team fell to New Mexico State 72-56 on Saturday at the Pan American Center to close out the regular season. 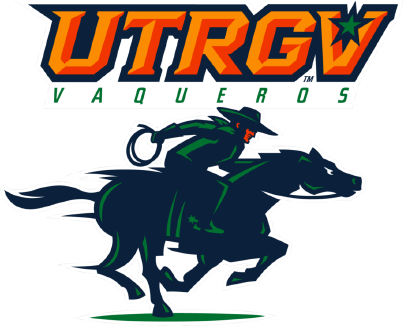 UTRGV (14-15, 4-10 WAC) enters the Western Athletic Conference Tournament as the No. 7 seed and will face No. 2 seed CSU Bakersfield on Wednesday at 4:30 p.m. on ESPN3. UTRGV will be hosting a watch party at University Drafthouse at 2405 W. University Dr. in Edinburg. Graduate student Marie-Fatou Gueye led UTRGV with a career-high 15 points on 6-of-7 shooting, plus 3 of 5 from the line, with four rebounds. Freshman and Brownsville St. Joseph alum Valeria Tapia scored a career-high 15 points on 7-of-13 shooting with three rebounds, three assists and one steal. Brooke Salas led NM State (17-11, 11-3 WAC) with 24 points and 13 rebounds. Monique Mills scored 20 points with five rebounds. Gia Pack scored 18 points with seven rebounds. NM State scored the first nine points of the game, but two baskets by sophomore Megan Johnson and two by Tapia allowed UTRGV to climb within 9-8. UTRGV tied the game at 11 on a 3 by junior Idil Türk at the start of the second quarter and then took the lead for the first time at the end of the half on a layup by junior Krisynthia Sampson to make the score 25-24.